The Alexa-enabled RolliCool COOL208 Air Conditioner and Heater delivers true comfort at the sound of your voice. Smart. Portable. Easy to use. The RolliCool COOL208 is a multi-functional AC unit that easily pairs with Amazon Alexa. Whether you’re busy in the kitchen or relaxing in front of the TV, a simple voice command is all it takes to turn your humid space into a tropical paradise. All without leaving the comforts of your couch or bed. Just tell Alexa what you want and your RolliCool will make it happen! Download the RolliCool app on your smartphone and manage your COOL208 from anywhere in the world. With the app, you’ll never have to rush home from work to prepare for guests. 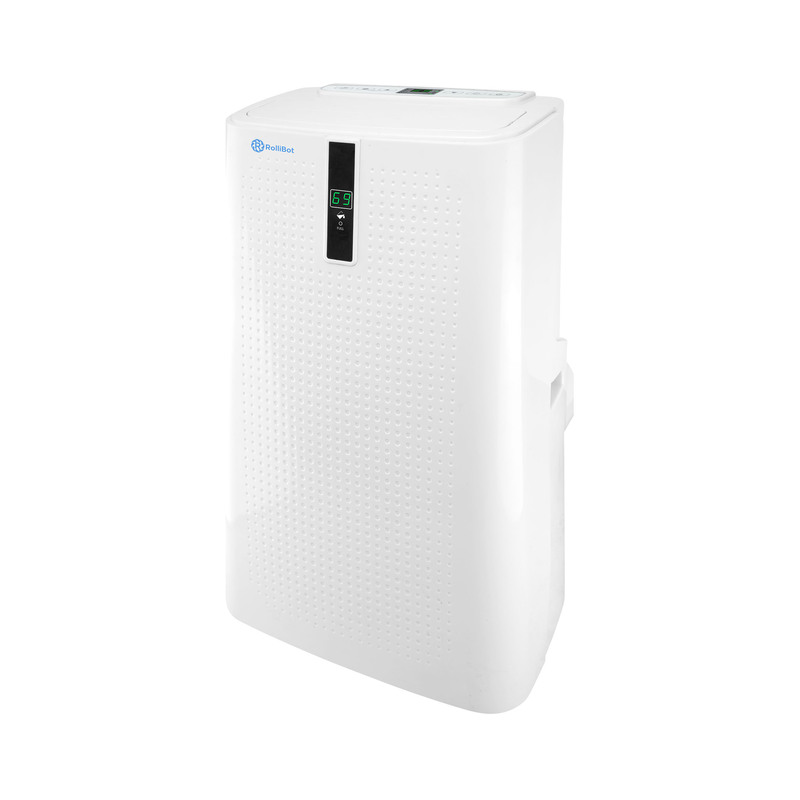 Power the unit on, set up cooling schedules, adjust fan speeds. You’ll have all the control you’ll need right in the palm of your hand to cool your room — before your guests even arrive. Enjoy easy mobility with the included casters and window kit. Roll your AC unit wherever you need extra comfort, from the living room to the bedroom. Fall asleep in cool comfort, lulled by soothing ambient fan noises. Activate Sleep Mode while you sleep to help mitigate distractions by dimming panel lights and slowing fan speeds. 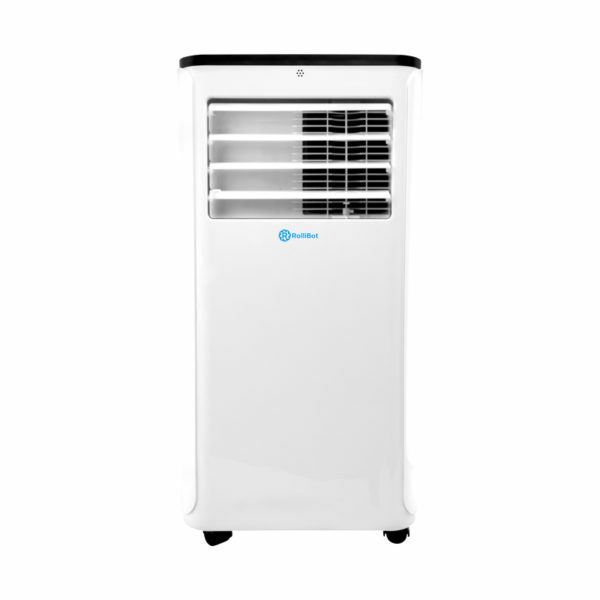 Cool your home the smart way with the RolliCool COOL208 Portable AC and Heater. Pair your COOL208 with Amazon Alexa and complete your smart home setup. After pairing, control your home’s climate with quick and simple voice commands. Download the RolliCool app to control your air cooler from anywhere with Wi-Fi connection. Remotely set up heating and cooling schedules, adjust fan directions, and more. Control your COOL208 with its built-in display. Navigate through features with the included remote. 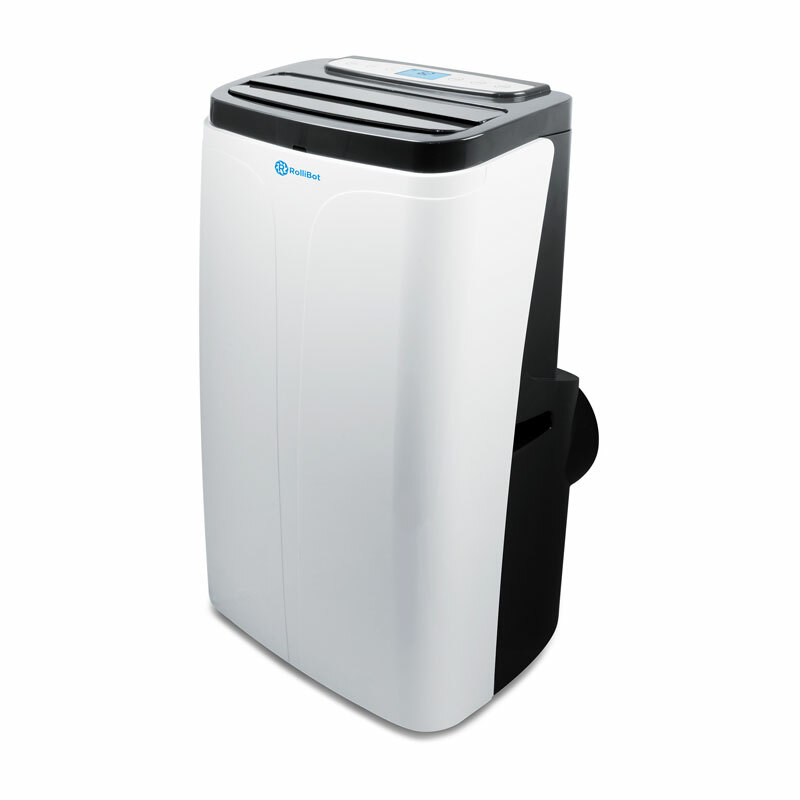 The COOL208 can dehumidify up to 24 liters of moisture per day to keep your home feeling fresh and clean. When its reservoir is full, the unit powers off to empty its internal reservoir before resuming activity. Improve the air circulation in your home by switching through three different fan speeds. Set up Sleep Mode to dim the panel light and slow down fan speed for uninterrupted sleep. Two pre-installed filters help remove contaminants and odor from your home. Instead of disposable replacements, wash and reuse the filters. Pop them back in and keep your home fresh and odor-free. Be cool while staying green! Find your perfect comfort balance with the COOL208’s eco-friendly R410A refrigerant. This lightweight air cooler comes with casters, giving you the freedom to cool any room you want — without heavy lifting! The portable RolliCool COOL208 Air Conditioner and Heater includes everything you need for a breezy setup and maintenance: remote control, power cord, drain hose, filters, universal window kit, and more.